Elite Track Cycling Athletes generate a tremendous amount of power and are incredibly demanding on their equipment. The chain is a key element in effective application of that power and a chain that is more efficient will allow more of that power to be converted into speed and contribute measurably to faster race times. 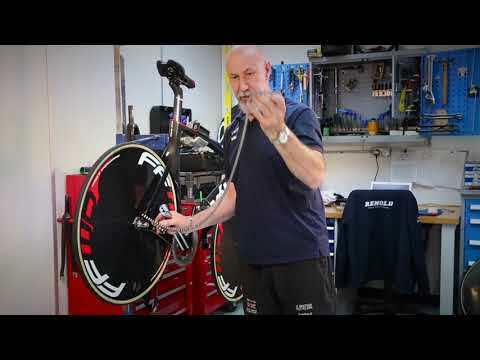 In 2011, the Great Britain Cycling team had identified problems with the chain they had been using and contacted Renold to see if they could come up with a solution for track cycling. The rich history of Renold and a mutual relationship with the University of Bristol was the catalyst for a winning partnership. Drawing on the proven Renold Synergy technology platform, Renold Velo CT has been specifically designed to meet the needs of competitive track athletes and serious road users of single speed cycles. Renold Velo CT was used to great effect by the Great Britain Track Cycling team at the Rio Olympic Games. This chain features a specially surface treated pin & bush for greater efficiency and wear performance. The side plates are precision formed & holed before being pre-stressed resulting in optimal mechanical interference fits between plates, pins & bushes. This yields higher strength & fatigue. Further enhanced interference fit and corrosion protection is a result of the plates being nickel coated prior to assembly. To celebrate the anniversary of the invention of the bush roller chain, Renold are introducing a limited edition of 138 Velo CT track cycling chains available to cyclists that want to experience the quality and durability of this championship winning chain. These chains are available exclusively online via our dedicated website - find out more by visiting https://velo.renold.com/.